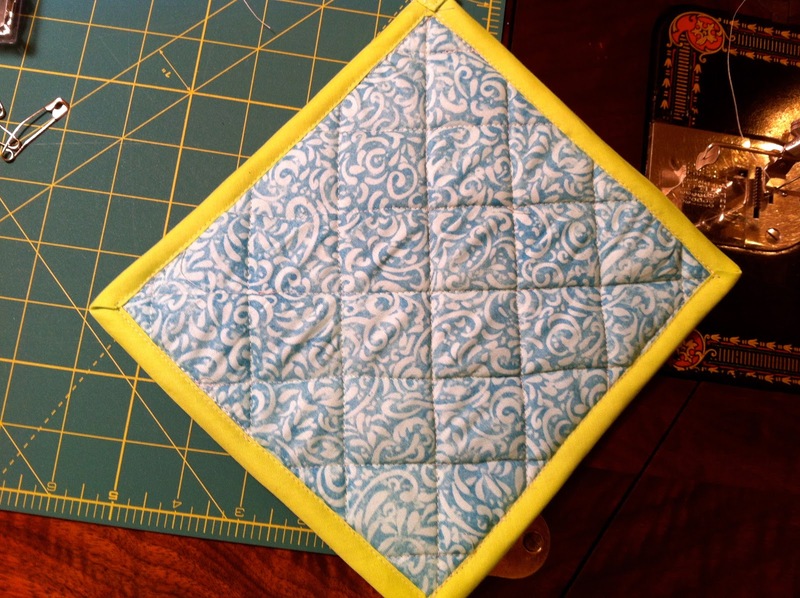 Tonight was my second attempt at making a potholder using only my treadle. I loosened the top screw on the machine which is attached to the presser bar. I loosened it a lot to help allow the four layers of fabric to quilt without pulling so much as they are being sewn. This seemed to help. 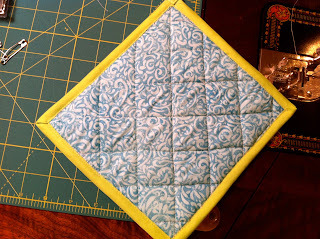 After stitching what looked like the worst potholder ever, this second one came out much better than the first. This one even deserved to be finished off with a binding edge. First real project made on my treadle. What fun. they're so cute! I have two treadle machines out in our shop. We need to find someone to service them. It would be fun to use a treadle machine like my grandma did. I learned to sew on my grandmother's treadle machine, and now I have it sitting in my living room. It works fine, but I'm just too lazy to use it. Your pot holders look fine. I found you through Find a Friend Friday, and now I'm following through Bloglovin' Have a great Easter!